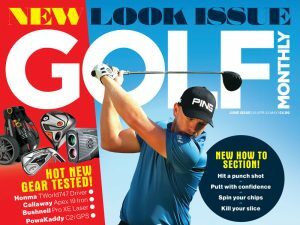 PING G series drivers, fairway woods, hybrids and irons were the top sellers in each of their respective categories in the UK during Feburary. This is according to Golf Datatech LLC, who track golf equipment sales data for the UK. The G series hit the shelves on February 11th, replacing the G30. PING also managed to sustain its position as the UK’s number one golfing hardware brand, and has led the revenue share for the last two years. “We’re very appreciative that golfers continue to put their confidence in our latest technology,” said PING Chairman & CEO, John A. Solheim, about the new G Series. The G driver and fairway woods have been in the bags of the world’s top professionals for some time now. Bubba Watson won with them in play at the Northern Trust Open at Riviera in February and Louis Oosthuizen took the ISPS HANDA Perth International with them in his bag in late February. “As the custom-fitting leader, we rely on the expertise of over 1,500 UK PING account holders dedicating their time to individually custom-fit their golfers to ensure they get clubs that are best suited to their games,” Solheim added.